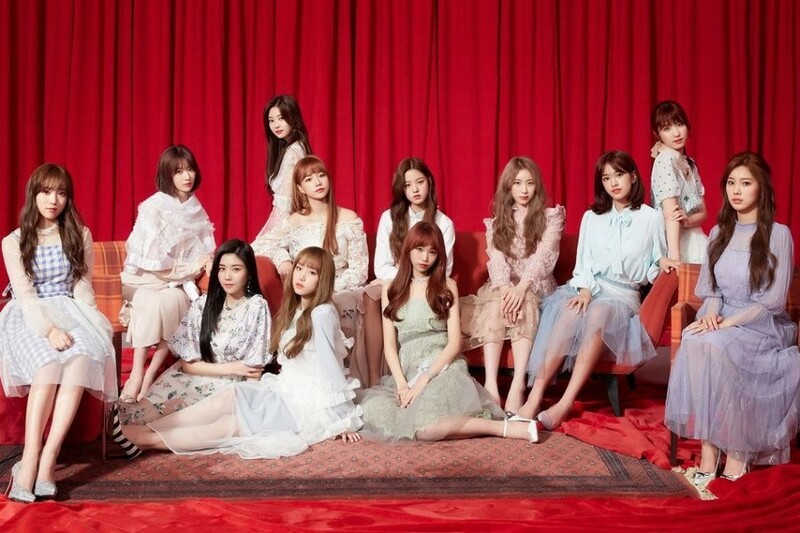 IZ*ONE's new track "We're in Love, Right?" has been banned by KBS. 'Produce 48' project group IZ*ONE released "We're in Love, Right?" as part of their debut album 'COLOR*IZ', which featured "La Vie En Rose" as the title track. However, on October 31, KBS revealed the censorship committee has deemed "We're in Love, Right?" unfit for broadcast on the network. KBS stated, "The lyrics conflict with other broadcast regulations, and all the lyrics are in Japanese." "We're in Love, Right?" was written by the producer of Japanese girl group AKB48, Akimoto Yasushi, and it was revealed through IZ*ONE's debut showcase on the 29th. Have you listened to IZ*ONE's "We're in Love, Right?" yet? is that why i had to hear the korean version of GG's mr.taxi, instead of the japanese one, when the japanese ver. is clearly better! Really grow up, what if american shows said korean idol could perform their song unless they were in english. They banned Orange Caramel for being in a plastic wrapper dressed as seafood, serously KBS needs to get out of the 1850's and join the rest of the world.